At The Overlake School, we believe technology is a powerful tool for enhancing our learning and teaching. 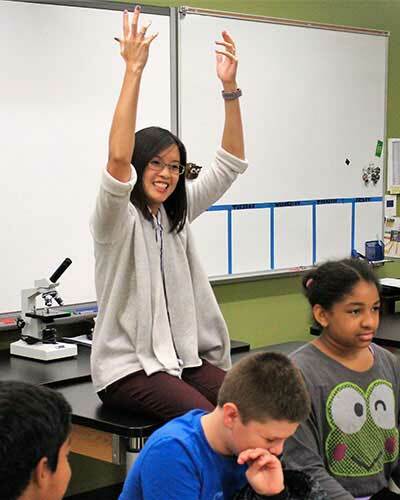 As a result, an Overlake education integrates the use of technology in numerous aspects of our school program. School-wide adoption of Canvas LMS (Learning Management System) since the 2013-14 academic year is just one example of how technology is enhancing our educational program. In order to support the increased use of technology, the school launched a student device program in 2015-16 which requires all students to bring their own device to school. Use of any devices, personal or school-owned, are subject to Overlake's Technology Use Policy. Overlake provides additional computing facilities with advanced hardware and software in the TLC Media Lab, TLC Computer Science Lab, TLC Production Studio, and Library Lab. Assistance is available for students receiving financial aid. Please find more information about the program below, and don't hesitate to reach out at the contact information below with any questions. We strongly recommend that students run the latest operating systems, either Windows 10 or MacOS 10.14. We discourage the use of alternate operating systems unless the student is very self-sufficient with supporting themselves. Please ensure students have run all updates prior to the start of school and are administrators on their computer, at least for the first weeks of school to get printers, wifi and other software setup. Students are encouraged to use a modern browser like Google Chrome or Mozilla Firefox, which work best with Canvas and other Overlake services. We also require the use of anti-malware and antivirus protection. 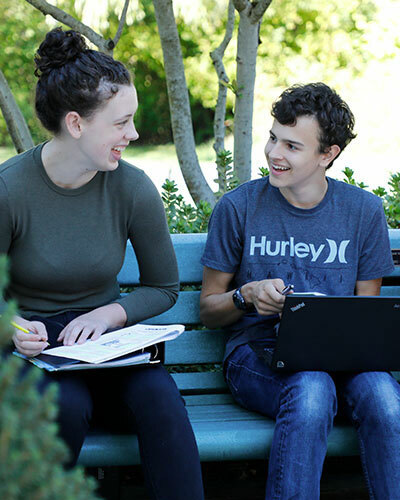 The Overlake School provides Microsoft® Office 365 to all students, faculty and staff at no cost. As long as students/faculty are at Overlake, each user may install this software on up to five computers - PC or Mac - and ten mobile devices - Apple iOS, Android and Windows Mobile. Downloading Microsoft® Office 365 is easy and access is tied to your Owl-ID. Scroll down for installation guides and a list of included applications. - Office on your PC includes Access, Excel, Skype for Business, OneNote, Outlook, PowerPoint, Publisher, and Word. - Office on your Mac includes Excel, OneNote Outlook, PowerPoint, and Word. - Other programs such as Microsoft Teams, Skype for Business, Sway, etc. can be downloaded from Microsoft's website and logging in with your Owl-ID. Once in the Office Portal, click the button in the upper right corner of the screen that says "Install Office 2016"
Office will automatically begin downloading. Once the download completes, if you're running Windows, choose Run or Save. On a Mac, open the downloaded file and double-click the icon that reads "Install Office 2016"
After you have completed the install process, open an Office application, such as Word® , and you will be asked to Sign in to an existing Office 365 Subscription. Enter your Overlake email address (Owl-ID@overlake.org) and click Next. If you are prompted to choose Microsoft Account or Work/School Account, choose Work/School Account. A video will display to explain the new features of Microsoft® Office 365. While the video plays, the installation will continue in the background. Do not go offline or restart your computer until the installation is complete. When you’re installing, you may get a "Something went wrong…” error. Or, if you get some other error, see General troubleshooting for installing Office 2013 and Office 365. Antivirus and anti-malware software are essential and required in order to protect your device and data from malicious attacks. The Overlake School does not provide antivirus or anti-malware software to students. The following is a list of free packages that are generally considered good products. The Overlake School Technology Department does not recommend or support any of these products specifically nor is this a comprehensive list of options. Based on state of the art technology, The Overlake School Campus WiFi network is constantly being expanded and improved to meet changing demands of our faculty/staff and students. Wi-Fi is available in all academic buildings and many outdoor areas on campus. Users can use Wi-Fi compatible devices anywhere service is provided. To connect to the “Overlake” campus WiFi, a user must have an Owl-ID username and password. Connecting to the overlake network gives you faster internet access & wireless print capabilities. Wireless access is provided to Overlake guests who do not have a Owl-ID. If you don’t have an Owl-ID you can connect to the “Overlake Guest” network with the password Overlake1967 (only limited internet access is available. Wireless printing for students is currently limited to dedicated printers in the Library and TLC computer labs and Student Center. Be sure you’re connected to wireless network “Overlake” using your Owl-ID as the log-on. 2. A pop asking for authentication will appear. For user name, type overlake\"your Owl-ID"
4. Note that you cannot add printers, or print, if you are joined to the "Overlake Guest" network.